US President Donald Trump’s pick for Labor Department head, Andrew Puzder, has admitted to employing an undocumented immigrant for years, an admission that has caused Cabinet nominees to withdraw in the past. On Monday, Puzder, the CEO of CKE Restaurants (the company that owns the fast food restaurants Hardee’s and Carl’s Jr.), admitted to employing an undocumented worker as a housekeeper, according to a disclosure he made to the White House, the Huffington Post reported. Puzder added that all the back taxes owed to the IRS and the state of California have been paid and all required paperwork regarding the undocumented woman has been submitted. 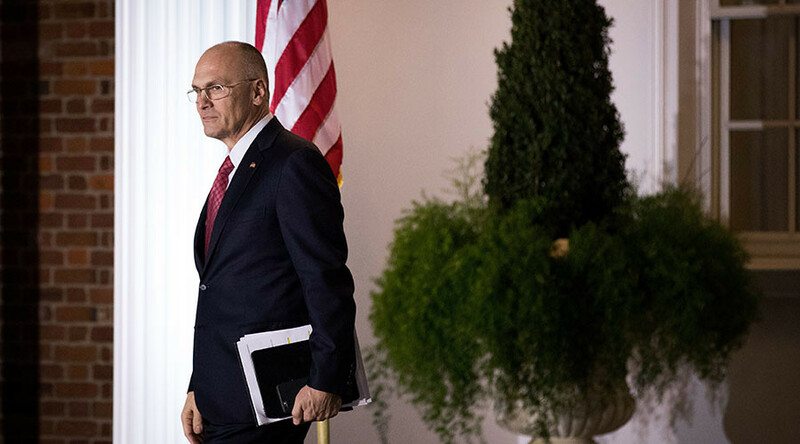 The woman declined an offer from Puzder to assist her in getting legal status because she was afraid she would be deported, a source told the Huffington Post. In an op-ed for the Wall Street Journal, Puzder wrote that he supported a “path to legal status” that would be “short of citizenship” if an undocumented worker could pass a background check, pay a fine, and learn English, among other measures. “Every option should be on the table, except amnesty, which forgives illegal conduct. 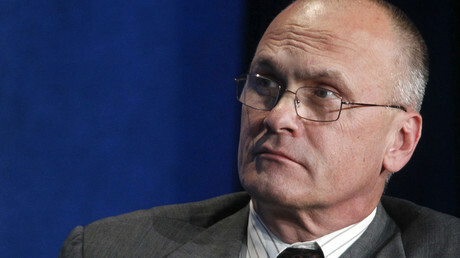 It isn’t amnesty if immigrants admit wrongdoing and accept punishment,” Puzder wrote. Senator Lamar Alexander (R-Tennessee), chairman of the Health, Education, Labor, and Pensions (HELP) committee, says that since Puzder “voluntarily corrected” his mistake, the revelation will not be considered disqualifying. “Based upon what I’ve learned, since Mr. Puzder reported his mistake and voluntarily corrected it, I do not believe that this should disqualify him from being a Cabinet secretary,” he said in a statement. Trump’s pick for the Commerce Department, billionaire investor Wilbur Ross, also admitted to hiring an undocumented worker during his Senate confirmation hearing. Ross says that he was deceived by the employee’s immigration status, and has since fired the worker. Under previous administrations, nominees who admitted to hiring undocumented workers were forced to withdraw. In 2001, President George W. Bush’s nominee for labor secretary, Linda Chavez, withdrew her nomination after it was revealed that she allowed an undocumented Guatemalan woman to live in her house. In 1993, President Bill Clinton’s nominee for attorney general, Zoe Baird, withdrew her nomination after it was revealed that she was paying an undocumented couple under the table as a nanny and part-time driver. Clinton’s second nominee for attorney general, Kimba Wood, also had to withdraw from her nomination for employing an undocumented immigrant as a babysitter. Puzder’s confirmation hearing was scheduled for February 7, but has been delayed for the fourth time.